These children are Mini Dippers – participants in a nationwide snorkel programme run by New Zealand Underwater for intermediate-school children. 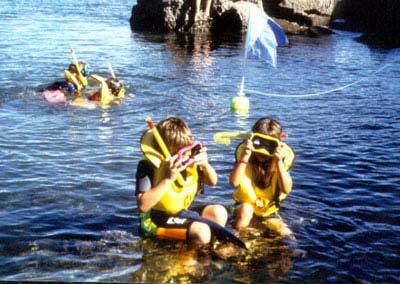 The course aims to be fun while instilling confidence and water-safety skills. It is taught at schools, aquatic and community centres and provides a mix of theory and pool sessions.